I was blown away with the gorgeous flowers by Lisa Lawrence from Blooms and Bows at the heart FM wedding fayre in Brentwood. I was there with Essex wedding band, Unforgettable providing some live music with our saxophone and vocal duo in the marquee. I love looking around and chatting to other suppliers and looking for suppliers to blog about. 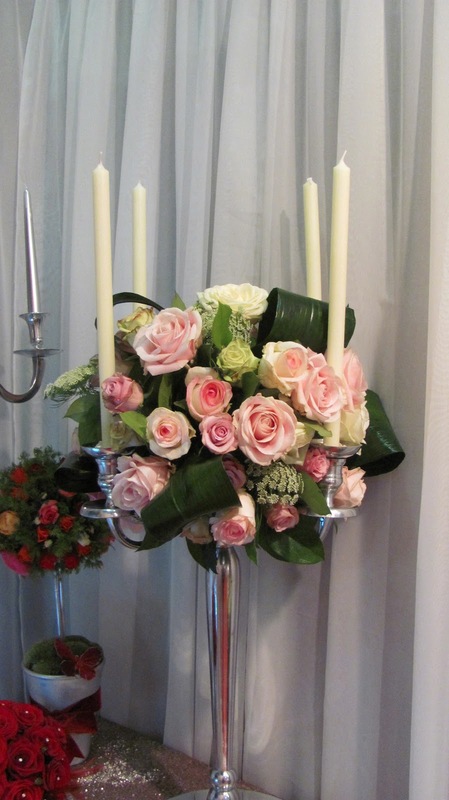 Lisa has been a florist for many years but has only recently concerntrated on weddings. Here is what Lisa say’s about her business. “Blooms and Bows are floral designers that will make your wedding day unique, spectacular and memorable. Whether you have chosen a small and intimate celebration or a large and opulent wedding, we can offer a bespoke and tailor-made approach to assist you to realise your dream for your special day. We have a wealth of experience in a variety of different venues, from exclusive London Hotels to glamorous Country Manor Houses. Whatever the venue or whatever your style our team can make your vision a reality. 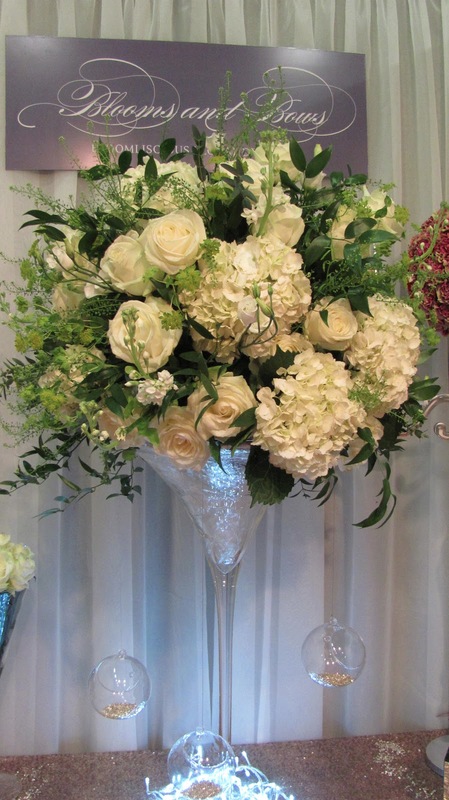 Flowers and floral design is a passion for all that work at Blooms and Bows. 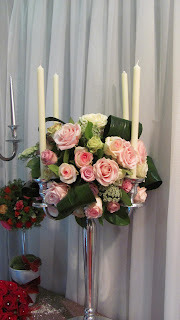 We take great pride in our attention to detail and the high quality product we create for each individual wedding. We endeavour to deliver quality; style and a bloomliscious touch to every design, whatever your style.